After months of anticipation, Kessil has finally released information on their newest LED lighting technology, the Tuna Blue Dense Matrix LED pendants. 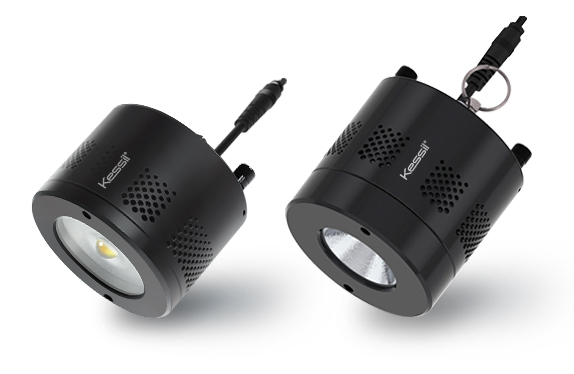 We originally thought Kessil was just going to come out with a big brother of the popular A150W, but as it turns out, the LED specialists had several tricks up their sleeves. Instead of just coming out with one larger model, Kessil is actually releasing two: the A350 and A350W. And to top that off, built into these new A350 pendants are two channels of color with each being independently tunable. As we mentioned, two separate models of the Kessil A350 will be available. 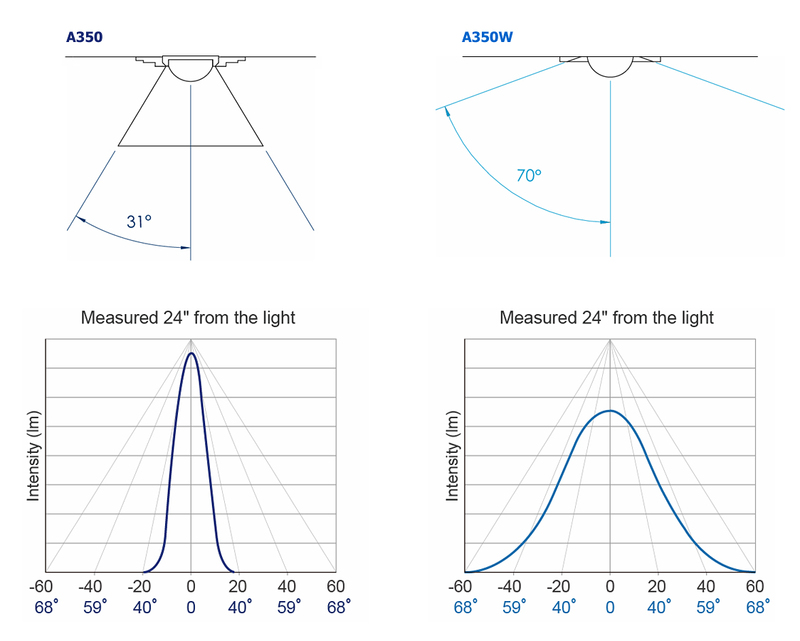 The A350 comes with a 31 degree reflector that focuses light for greater depth penetration. Its intended use is for tanks deeper than 24″ with corals near the bottom. The A350W, on the other hand, is the wide angle model. 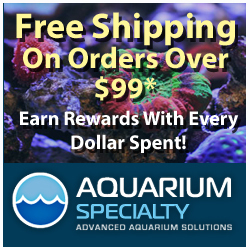 It has a 70 degree reflector that sacrifices depth penetration for light spread, making it perfect for shallower reef aquariums and frag tanks. In terms of the color spectrum, the A350 comes with two different colrs built right in…the 10,000K Sky Blue and 20,000K Deep Ocean Blue. Each of these colors can be adjusted manually with a pair of tuning knobs, allowing users to dial in the right amount of white and the right amount of blue to give their aquarium the look they prefer. According to Kessil, when both channels are set at their maximum setting, the resulting color is very similar to their 15,000K Ocean Blue spectrum. As far as power consumption goes, the Kessil A350 and A350W each consume 90watts of juice. The A350 will officially be available in the U.S. later this month, while the A350W won’t make its appearance until May 2012. Both models will have a retail price of $399.